Jordan, a six-time NBA champion with the Bulls who was inducted into the Hall of Fame in 2009, is the first stateside player ever to be honored with a unique ‘Tegata’ memorabilia piece from UDA. Utilizing handmade Japanese Fuji paper, Jordan has inked his left hand in black and included an authentic Inkan stamp which corresponds perfectly with the traditional craft. 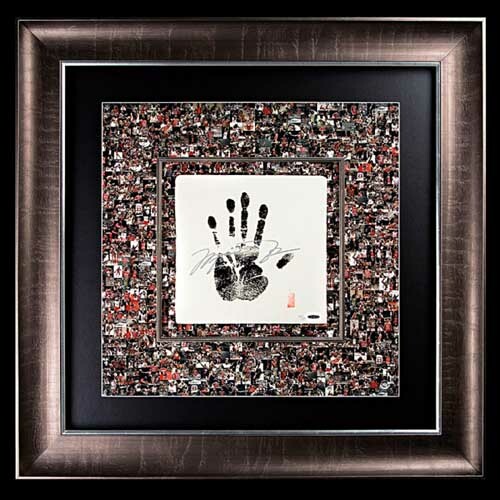 The overall keepsake, which measure 30” wide by 40” high, includes a 12” by 12” inset center upon which Jordan’s hand is inked and is surrounded by a double-matted mosaic background of on-court, action images of MJ throughout his 13-year tenure with the Bulls. 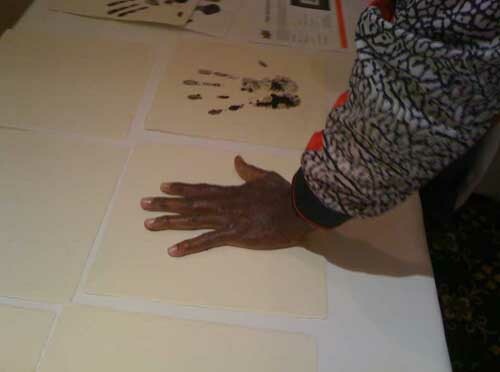 Jordan recently performed the Tegata process alongside UDA officials and helped in the actual hand-crafting of 23 uniquely authentic stamps for each keepsake. His unique, red Inkan stamp reflects his initials and uniform number. 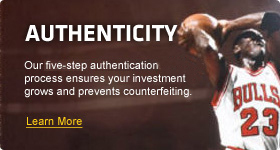 He then completed the autograph phase of UDA’s patented five-step authentication process by signing his name in silver across each handprint. Click on this video link to see Jordan inking and signing the exclusive Tegata: http://www.youtube.com/watch?v=m9RoxWl6XFc. “It’s an honor to be the first Upper Deck Authenticated spokesmen to be selected to go through this process,” said Jordan, who celebrates his 48th birthday tomorrow. The prized piece of sports memorabilia, which carries a suggested retail price of $4,999.99, is now available at Upper Deck’s online store: www.upperdeckstore.com.